Forget about boring textbooks! 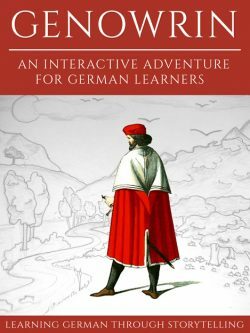 Save the world and learn German one sword-fight at a time! 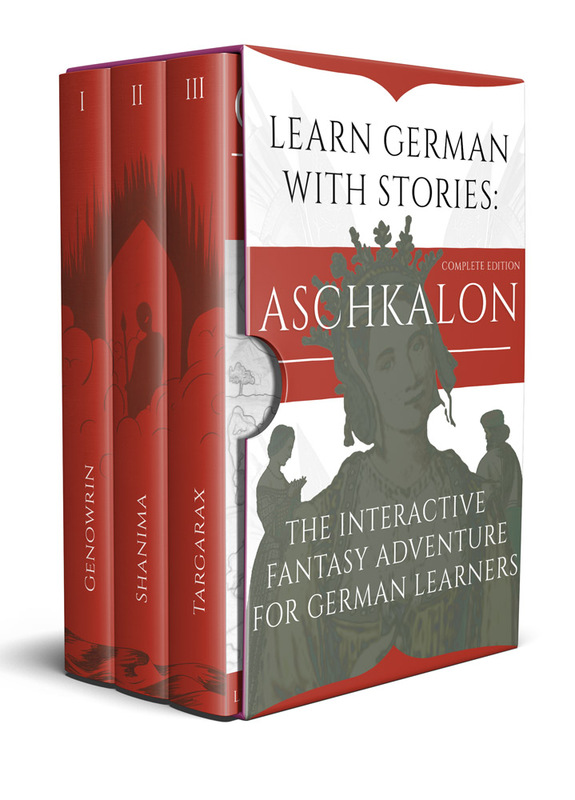 This is the complete edition of the Aschkalon fantasy trilogy for intermediate and advanced German learners. After a long and terrible war a warrior returns home, but nothing is as he remembers. The throne is occupied by a dark usurper and the kingdom is haunted by a strange curse. Can you bring the evil forces to justice and restore peace and glory? This epic interactive adventure puts you, the reader, at the heart of the action. 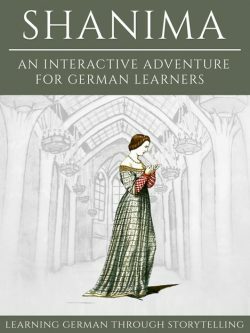 Boost your grammar by engaging in sword fights, improve your conversation skills by interacting with characters and enhance your vocabulary while exploring forests and dungeons. 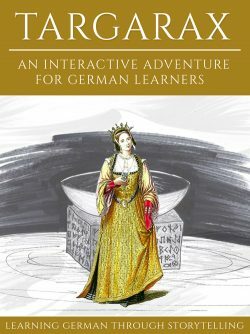 While this books is aimed at intermediate and advanced German learners, it can also serve as an exciting way for beginners to get a feeling for the flow of narrative German. Each scene comes with a vocabulary section with English translation. 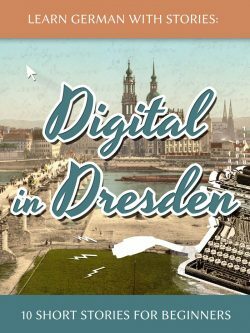 For additional support, we also recommend installing a German-English digital dictionary on your Kindle device. Aschkalon is 100% compatible with all Amazon Kindle devices and apps. Enjoy this book on your desktop, e-reader, tablet or smartphone! This book comes as Kindle edition.